Brian is a passionate outdoor photographer and presenter. He’s been a landscape photographer for more than twenty years photographing across Canada and around the World. He’s been giving professional presentations to groups sized between 5 to 100+ Photographers for over a decade. He loves sharing his passion for the art and the business of outdoor photography. His passion for photography shows through in his presentations. His collection of photographs include wildlife, travel and landscape photographs from around the world. The photographs and their engaging stories have grown into a rather large library over the decades since he began his professional photography career in 1997. And, the list of his presentations has grown as well. Brian’s presentations showcase his extensive collection of outdoor photographs, his comprehensive technical knowledge of photography and his extensive experience in the ‘business’ of photography. He thoroughly enjoys delivering his presentations in his lighthearted and candid presentation style. 5/ Outdoor Photography Shooting Techniques and Editing – 55 minutes – This presentation is suited to a workshop/photography conference venue. 6/ The Business and Art of Outdoor Photography – 55 minutes – Brian draws on his 20 years of experience as a professional photographer to tell it all. He’ll explain how his dynamic and expressive business strategy has kept him in the business shooting professionally since 1997 and helped him to lead the industry on multiple occasions both locally and nationally. This is a story marrying the contradictory strengths of the “art of emotional communication” needed to succeed in the art world with the dichotomy of running a sustainable “Art” business in a field that has experienced multiple challenges, growth spurts and dramatic changes over the decades. Balance and vision. 1/ The Mountains, from the Arctic, through the North American Rocky Mountains, and continuing on to the South American Andes. 2/ The Great Sandstone Arches of Utah to the lowest point of land on Earth, Death Valley, CA. The Great American Desert Southwest. A photographer’s dream. 4/ Japan – The blatant, yet harmonious dichotomy of modern Japanese culture living in the fast lane alongside the traditions and classic architecture thousands of years old. This is Japan. Harmony defined. 1/ Professional associate college instructor at Alberta’s Lakeland College in another field between 2006-2012. 2/ A lab Instructor in multiple subjects during each of his four years at Acadia University while concurrently completing his BSc.H degree in Biology in the 1990’s. 3/ 5 years of group leadership experience as a recreational skiing and mountain climbing trip leader with the Alpine Club of Canada. 4/ Organizing and leading numerous professional photography tours and workshops since 2007. 5/ Many presentations and seminars on wildlife photography, landscape photography and the business of photography. He’s lost count. 6/ Organizing and leading 4 international altitude climbing expeditions climbing over 6000m three times. 7/ His position as the president of the International Landscape Photographers’ Association, ILPA. 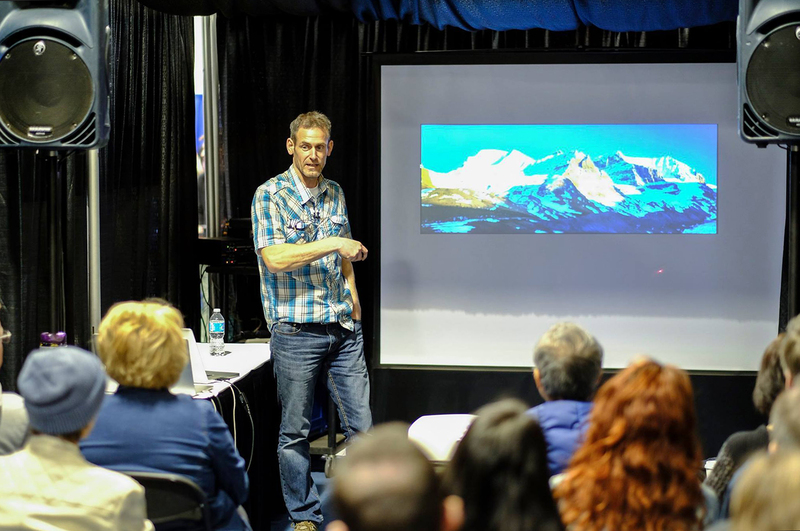 Some of his responsibilities at ILPA include organizing, hosting and being the Master of Ceremonies at the annual ILPA landscape photography conference. Brian is the President of the International Landscape Photographers’ Association, ILPA, and an accredited member of the Professional Photographer’s of Canada. Please visit the websites to learn more about Brian, the International Landscape Photographers’ Association and Canada’s annual Landscape Photography Conference.